Born in 2015 out of the collaboration between the arranger Mathieu Najean and the dancer Sep Vermeersh, Reverent Juke has its roots in the golden era of swing. With an explosive rhythm section built on the swinging drums of Tom Lambrecht, the bouncing bass and singing of Andrew Bolton and the wild stride of Renaud Crols, Reverent Juke sets the swing on fire with its three blowers, Martin Bolton on clarinet, Olivier Faber on trumpet and Mathieu Najean on reeds, blowing their horns on the fiery flames till they drop. Born in Ghent, raised in Brussels, Reverent Juke is now attending Lindy Hop events everywhere in Europe. 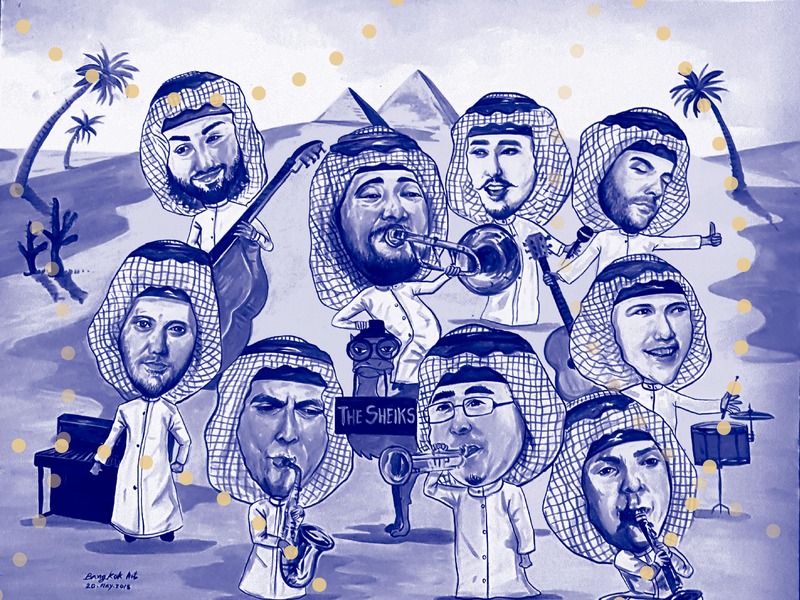 The Sheiks are a traditional jazz band formed by nine young passionate musicians based in Switzerland. Coming from different musical backgrounds, they found each other through their love for jazz born at the beginning of the last century. Nine heads, 18 hands and 9 hearts that will move your feet. 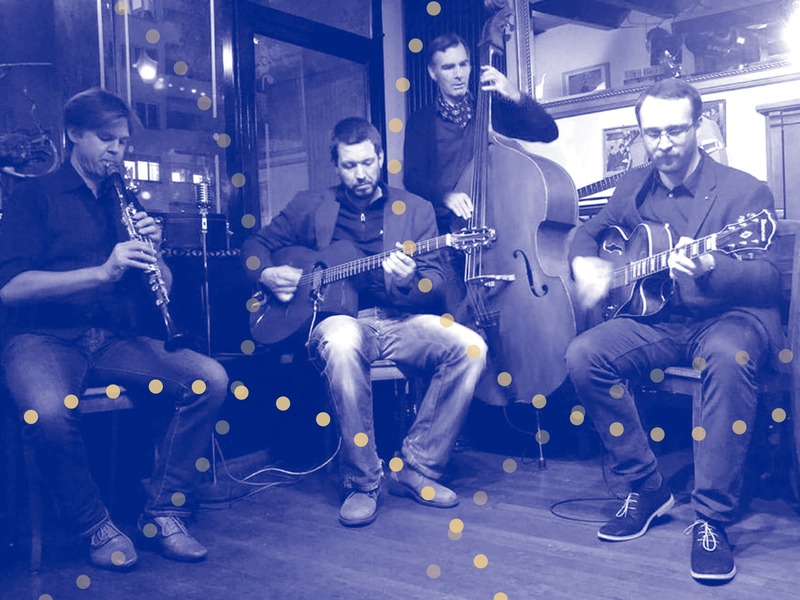 The New Hot Club of Zurich pays tribute to the music of guitar extraordinaire Django Reinhardt and the Hot Club de France. Part of a global movement, the fully acoustic quartet plays French swing music of the 1930’s and 1940’s with an infectious rhythmic feel.